FlightSafety offers comprehensive, professional training for the Bell 412 Helicopter. Our highly qualified and experienced instructors, advanced-technology flight simulators and integrated training systems help ensure proficiency and safety. Bell 412 training is available at both the North and South FlightSafety Learning Centers in Dallas, Texas. FlightSafety’s Bell Helicopter Training Programs were designed to meet the professional training needs of all Bell operators. The Dallas Learning Centers offer Bell 412 pilots the resources to achieve proﬁciency and safety. Bell program instructors are carefully selected for their high experience inBell products. We provide training on the Bell 212, 412 and 430 at our Dallas, Texas, Learning Centers. Our Bell 412EP and 412EP-Fast Fin Level D simulators in Dallas are the only ones of their kind in the continental United States. These simulators are the centerpiece of a highly acclaimed, comprehensive ground school and simulator training package. The program has earned FAA, EASA and ANAC approvals. FlightSafety simulator training can incorporate photo-realistic scenes of New York City and Akita, Japan, as well as destroyers, aircraft carriers and offshore oil rigs. Bell 412 training is available in Spanish and Portuguese. Bell 412 simulators offer special visual effects featuring brownout and whiteout conditions. Bell 412 avionics include Garmin 500 GPS and Trimble 2101 GPS. 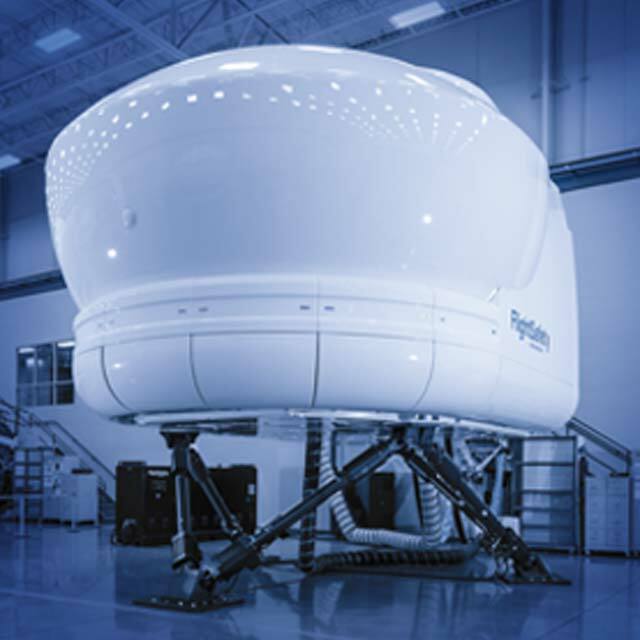 Using FlightSafety’s high-ﬁdelity graphics package, Bell Helicopter simulators feature special visual scenes and effects to give Bell operators the most relevant training available. FlightSafety helped pioneer FAA Level D full flight simulation for helicopters. FAA-approved Part 142 Night Vision Goggle (NVG) training is available at our Dallas South Learning Center on the Level D full flight simulator. FlightSafety’s new Master Aviator Program is available to Bell 412 operators. This program builds on your proven flying abilities with challenging training that expands your skills and prepares you to react correctly to a broad range of demanding and unexpected situations.